Former Manchester United left-back Patrice Evra revealed the way Sir Alex Ferguson punished his players if they lost to Liverpool. The renowned Scotsman was known for his hot dressing room temper, but the way Evra explains his retribution is quite surprising. 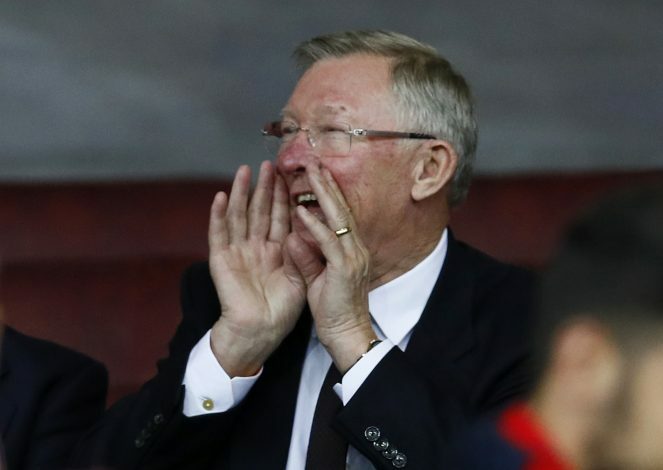 The former Juventus man revealed that Ferguson used to give his players a silence treatment as he won’t talk with them for a week if they lost to Liverpool during his reign. “It’s something special,” Evra told beIN Sports – via the Daily Star. “I hate to lose against Liverpool. Evra, during his nine years of tenure with the Old Trafford outfit, was an utter crowd favourite and managed five Premier Leagues and one Champions League medal; amongst the other domestic triumphs. His outburst with Luis Suarez back in 2011 was, however, the biggest headline catcher and the Uruguayan was found guilty by the FA of racially abusing the defender. “There are a lot of memories. Of course when we had this problem with Suarez. “We won 2-0 and all the players played for me and it was amazing with my celebration in front of Luis Suarez. He had so many memories to cherish during his time at Old Trafford, but the encounters against Liverpool were always the specials ones. He further added: “My first Manchester United v Liverpool game was at Old Trafford. “I won the foul, we did the free kick and Rio Ferdinand scored the winning goal. Before those games the fans were just crazy. The atmosphere in Anfield, you can feel they hate Man United. In recent times, Evra was linked with a move back to Old Trafford, but the potential homecoming was blocked due to some reasons. He told ​Sky Italia: “I was very close to a return to Manchester United. I also spoke with Mourinho but there was a person, whose name I will not say, who probably did not like the idea of my return.